Do you agree that the aesthetic forms of Scripture set boundaries for other aesthetic presentations of God’s truth? What might some of those boundaries be? In my Sunday School class, for awhile I’ve been going through the historic books of the OT, and I’m in 2 Chronicles. We’ve been looking at Solomon’s building of the temple, and it is interesting to consider the aesthetics of the temple. We’re obviously supposed to learn something from that. There is so much symbolism, telling us that form and style, whatever one might call it, are part of the communication or meaning. What’s the point of the emphasis on the cherubim, for instance, that are sewn on to curtains and then built into the lid of the ark of the covenant? It’s obvious that these images were to communicate something. The passage doesn’t tell us — we’re assumed to know. Isaiah certainly got something out of the cherubim in Isaiah 6 that impacted him. Why the materials they used? Gold, the garnishing of precious stones. The materials for the most holy place were of an even higher quality due to the proximity to God. The closer to God, the more sacred it became, and the less common or profane. Certain aspects of the form were for “beauty” (2 Cor 3:6). There was a significance to all these. They were different than ordinary buildings. They were unique to the house of God. Now, we’re not building a physical temple today, but we see that there are qualities that make something sacred or holy, and not common or profane. Removing or blurring those distinctions takes away from honor and service and worship of God. It’s easy to see that the focus has turned to us, what we want, or what we feel, and in order to have that or get that or keep that, we either can’t or don’t want anything sacred to remain. Music is still an element of worship to God. The music itself must be sacred. If there can’t be qualities to the music that make it sacred, then we’ve lost the ability of that uniqueness. In answer to your question, I believe we know what qualities mean what. Fleshliness, sensuality, disorder, banality, among others, are not sacred. Those are profane. Those are unacceptable to God as worship and the difference between those and the orderly, majestic, spiritual, among others, is the boundary set that should be observed. (1) In partial answer to the question: I suggest Phil 4:8-9. The FACT of His speaking did not change, but the FORM, the MEANS through which His Word came, changed. As a result, we must “pay much closer attention to what we have heard . . .” (2:2-3). Were The Law, the Prophets, and the Writings sufficient to express God’s Word? Yes (to a degree) – Lk. 24:25-27, 45-46; 2 Tim. 3:14-15. The change of FORM, then, is significant, and it communicates (John 1:14-18). In his book, The Dangerous Act of Worship, Mark Labberton raised two questions coming from two differing perspectives that I believe get to the centrality of this question. The first question is raised by those inside the church, “Why doesn’t the church look more like us?” It is in answering this question that those inside the church have created “Young Messiah” or a rap version of the Heidelberg Catechism. The problem is that this is not the proper question to be asking. Ironically, according to Labberton, it is those outside the church,as well as God Himself, that are asking the correct question “Why doesn’t the church look more like Jesus?” Accompanying this confusion of questions is the confusion of aesthetic forms. Those in the church are choosing forms that reflect themselves rather than those given within the context of Scripture. Perhaps asking the right question is the predecessor to examining if Scripture speaks to this issue. Without asking the right question, Scripture, shockingly, is not the starting place for finding the aesthetic boundaries. By starting with the wrong question, individual preference is the aesthetic boundaries that matter. If we take the position that methods change and the truth stays the same, what would it hurt to contextualize Handel’s “Messiah” into a more accessible “Young Messiah”? Although it’s certainly not the quality or representation of the original, it puts out a facsimile version that contains truth. This may allow the uninitiated to hear the message and perhaps be drawn to the original at some point. Jesus told stories in the form of parables that related to the people with whom he was connected. Is there a threshold where we are able to incorporate some of the popular cultural idioms and then as we move throughout the worship service progress to a better quality aesthetically? Scripture should be our guide when determining aesthetics, but most of us have never gone beyond our own personal taste to consider God might have criteria for appropriate forms. Although, Philippians 4:8 is usually applied to individuals guarding their thoughts, it certainly is applicable to the church in worship and every other ministry. What a good place to start in the quest of determining whether an aesthetic form is appropriate for worship or even in our lives as Christians. Defining what is “lovely” might become subjective and yet there would be the safeguard of “good report” to deal with associations. We also need to examine our motivation in our aesthetic choices. Are we actually desiring to please God and worship him? or keep people coming to our services? But that’s exactly what I’m arguing against above. There are limits to “contextualization,” and those limits are based on the aesthetic forms of Scripture. In other words, in order for something to be “true” biblically, it must correspond to Scripture both in its propositional content AND in its aesthetic form. God, you know, is everywhere! He dwells within your garden hose. Now, on a propositional level, does that poem correspond to Scripture; is it “true” in that sense. Well of course; God dwells everywhere. However, on an aesthetic level, does that poem correspond to Scripture? Hardly. God’s omnipresence is never portrayed in Scripture in trivial, silly ways. And so here’s the important point: I would argue, on that basis, that the poem is NOT true. It does not fully correspond to how Scripture communicates the omnipresence of God. The same could be said for that great old classic VeggieTales song, “God is BIgger Than the Boogiman.” Propositionally “true”? Perhaps. But does the way in which the facts about God are expressed correspond to Scripture. No. Therefore, the song is not true. You see, I think most people equate “truth” with “factual accuracy.” But the point of my post is that truth is much more than (although no less than) factual accuracy. Truth is full correspondence with reality. Scott, I do understand that you believe there are limits to contextualization and in fact, I also believe in limits. However, I also believe that methods do change for different generations and those changes can still be in line with biblical forms. 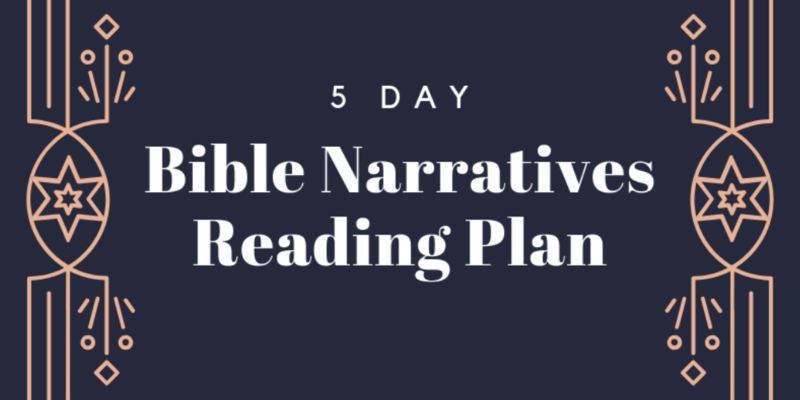 Jesus used parables during his ministry on earth but that method of communication and the stories themselves were uniquely designed for his Middle Eastern audience in their time frame. We don’t really communicate that way in our culture and time. We have to study them in context to determine the meaning for Jesus’ audience and then apply them across to our context. We change the way we tell them but we don’t change the truth. Your poem is obviously silly, but what about a serious piece like “The Young Messiah”? What makes Handel’s “Messiah” more acceptable? Is the style of music offensive and somehow falling short of the biblical model for aesthetics? In reference to your veggie tales song—every 3-6 year old child believes that monsters live under their bed or in the closet and they certainly believe those monsters are real no matter how many times you show them their empty closet with the flashlight. Knowing that God is bigger than their greatest fear could be a huge step in their faith journey—perhaps this is a parable of sorts. Psalm 74 talks about God destroying a possibly mythical creature. Could the writers of the veggie tales song be alluding to this model? If God can handle the mythical, surely he can handle the actual. I consider associations and implications of a style to be important criteria to judge an aesthetic model. I really like the idea of using Phil 4:8 as a guide to discern where to put certain items. Especially relevant would be “of good report.” Another question, does this piece of music or artwork lead me to think about God and his attributes and my commitment to him or does it lead me back to my own enjoyment or make me uncomfortable about having “sacred things” in that context. God’s people believe the Word of God. However, the Word could not be regarded as the only way to discover everything that God has given to people. As Paul says that “For since the creation of the world God’s invisible qualities–his eternal power and divine nature–have been clearly seen” (Romans 1:20a), this created world is also a part of being able to comprehend God’s nature. Scripture becomes a principle which provides the methods to set boundaries, but does not suggest a specific means correspond to the reality of our time. I agree that the aesthetic forms of Scripture set boundaries for other aesthetic presentations of God’s truth. Simultaneously, however, I claim that Christians must open their minds to other possibilities, which might be discovered through God’s perfect world that He has faithfully bestowed to people. I have been trying to wrap my head around this basic argument since I first met Scott, around two years ago. Having been brought up and steeped in a Southern Baptist church culture that uses pop genres in worship, this is a relatively new concept to me, (aside from a brief exposure to the teachings of Bill Gothard, which were dismissed almost as quickly as I learned of them, after being taught that other teachings of his were not Scriptural and therefore could not be trusted). If truth is both propositional and aesthetic, then there is no doubt a problem with how we (by we, I mean my church and others like it) administer worship. The problem I have is seeing clearly that Truth is both propositional and aesthetic. Nothing substantial about beauty or God is said here. (In Mr. Hughes defense, the verses of the song do speak of the beauty of the Lord, but there is still so much more that could be said). It is another way to say “I love you, Lord.” Which is fine, I’m not saying that is a bad thing in and of itself, but the theme of beauty, of God’s beauty could have been explored much deeper in the lyrics. Even more than the lyrics, though, is the music itself which does not seem to fit even the lyrics that were written. It is a fast tempo, pop song with guitars and drums. Not really something that elicits transcendence or awe, and because of the fast tempo, not something that encompasses intimacy or immanence, either. For me, this is perhaps the most glaring example of the aesthetic of a song not fitting its theme or even its lyrics. If Truth needs to encompass both propositions and aesthetics, then this song does not contain truth. Does this make sense to anyone else? What are your thoughts? When I talked about the cherubim, I mentioned in my first comment, I never gave the answer, but they cover their faces and their feet with their wings, out of respect. These are completely sinless, unique creatures, and they treat God with a kind of reverence to be emulated on earth. They are the visual reminder as to the approach to God. When Moses came to the burning bush, he had to take his shoes off. When the children of Israel came to Mt. Sinai, God scared them with lightening, smoke, and thunder, to create awe. In the model prayer, Jesus said to pray that God’s will would be done on earth, as it is in heaven. How is God’s will done in heaven? Isaiah got a glimpse of it. Even as it relates to our employers, we are to serve them with fear and trembling, and they’re just human authority (Eph 6). In Romans 13, rulers are a “terror” to evil, as power that is ordained of God. These are all just on the top of my head that would say that this is required of us. We are not told exactly how to do all these because we are assumed to know. Acting like we don’t know and that there is some new way that respect can be shown that is unlike anything in the history of mankind, I reject as genuine. The new reverence can’t be casualness, swaying, rocking, like a sexual intimacy. People have known that all the way up to the last few years, that those kinds of manifestations are Babylonian ecstasy, euphoria, like what occurred in Corinth and Ephesus. People know. They just don’t want it. To start, we should regulate corporate worship with NT elements. We might quibble a little about the exact application, but it should be very similar, since there is one Holy Spirit, and one truth, goodness, and beauty. Within those elements there should be qualities of style and form that fit the attributes of God. I believe that is essentially a universal language to creatures made in the image of God. I was just reading today about the new pope bowing to a human, secular leader — that meant something, it was news. People caught it. We shouldn’t act like we don’t know these things, when people do know these things. I noticed that the pope doing a “selfie” went viral. Many see it as too common for his position. I believe he probably sees it as “humble,” putting himself on everyone else’s level. I’m not promoting Roman Catholicism or the pope, just recognizing that people still understand what makes something sacred. Much more could be said. The music, even more so, does not fit this theme. Distorted guitar and drums along with a fast tempo do not carry any sense of transcendence or awe. The lyrics seem to call for music that exudes intimacy and immanence, but with the fast tempo and distorted guitars there is little of that, as well. Overall, the subject matter of the song is not served by the musical setting. If Truth is both propositional and aesthetic than this song does not contain Truth, because the aesthetic does not serve the propositional truth. Therefore, it is false. Does this make sense to anyone else? What are your thoughts? I agree with you that the setting of the song “Beautiful One” does not serve the text well, however I believe we are able to separate the pieces and keep the true parts and eliminate the less effective parts. But I disagree that the setting could be true or false–it enhances or takes away from the text. In all fairness, I have some of the same difficulties with this song that you have, but I believe the text is far more important and the setting is negotiable. My expectations for the song were not as high as yours–I saw the text as describing the epitome of beauty as being Jesus. I believe you hit the nail on the head as defined by Scott’s essay–I just don’t agree with the premise. I remember what my music minister experienced in a mission trip to middle-east Asia countries. The member of the mission team was preparing a concert for non-believers. One night, the minister sang “How great Thou art” before many people. Unlikely his expectation, people were not really touched by this song. Finally, he realized that the tune was not really familiar for them since they didn’t know the song. Instead of using the same tune, he changed a tune that was familiar to them without changing the text. After that, people were really touched and asked him to sing again. Sometimes, we are too accustomed to what we experienced. However, we sometimes need to be flexible in order to deliver the meaning of the message to people in different cultures. I believe that God is the ultimate author of the Bible. Although there are many people who wrote the Bible by their experience of God’s presence and their own thoughts, ultimately they were writing what the Holy Spirit prompted them to write. I believe contextualization is necessary thing to understand the meaning of the Scripture. However, there are some limitations for that. There were some word changes. For example, Jesus said that “I am the bread of life.” But Korean Bible used rice instead of Bread. Rice is more appeal to Korean since rice is the main meal for them. What about the aesthetic form? Like Psalms, we can feel more desperate with a poem rather than propositional statement or parables. However, the form could be changeable with time and culture changes. If some culture does not have the form of the poem, people as an communicator need to change other forms in order to deliver the right message without ruining the ultimate meaning. It seems in some posts that we have lost sight of an objective standard for truth, beauty, and goodness. This is evidenced by our discussion of our expectation for a song. The question we should be asking is: What is God’s standard (the objective one) for communicating truth about Himself? That which contains truth but is mixed with false cannot be by definition true. In Casey’s song example, even if the text were propositionally true, the presentation of the text does not align with the objective standard God holds for communicating truth about Himself making it wholly false. In response to Davida’s example, the text doesn’t connect with the audience because of an unfamiliar musical setting, but the contextualization of the text linking it to a “culturally relevant tune” connects and motivates those listening to ask for the song to be sung again. Perhaps this new setting communicated truth about God, but the motivation of the alteration was not to teach truth about God, rather it was to “touch” people and generate a response. I question the ability of such a setting to portray God in a manner that rises to His objective standard when the primary motivation is generating a response. I appreciate Scott’s statement that aesthetic form and propositional content are not separable but truth is always both propositional and aesthetic. And truth is full correspondence of reality. I believe that essential parts of truth exist beyond not only factuality but also doctrinal, propositional, and theological teaching. God’s truth comes in various forms. God gives human a gift so called “imagination” that helps us to perceive things invisible and intangible. Imagination gives us ability to sense the part of truth, which is beyond our own knowledge, experience, understanding of facts. At the same time, ironically human’s imagination can be limited to their own cultural experience and education if there is no guidance of the Holy Spirit. Here are two elements that I want to articulate in this discussion: Truth (guided by the Holy Spirit) and God’s beauty. Christians and churches would not lose their identity as long as they focus on God’s truth guided by the Holy Spirit whatever aesthetic forms they present, and they should know why God allows them to use the beautiful and aesthetic forms of His truth in corporate worship and even further in their lives. I appreciate Robert’s question; “What is God’s standard (the objective one) for communicating truth about Himself?” Holiness is the key (1 Peter 1:13-16) Holiness is neither abstract nor subjective, but objectively viewing as separation from world, ungodliness, and worldly passions. As mentioned earlier whatever aesthetic forms we employ shall reflect God’s holiness. Robert, from reading your two posts I understand that you are saying evangelicals begin seeking answers to aesthetic questions from the perspective of the people, where as they (okay, we) should be asking from the perspective of what God desires. I agree, we need to seek a God centered form of worship. Here is where I am now: there has to be an objective standard because if there is not an objective standard, God would just say, anything goes. “Worship me however you want.” But I know that cannot be true, for the pages and pages of instruction on worship in Scripture, in particular, the Pentateuch. Also, if there is an objective standard of aesthetics, it would be just as important to adhere to this standard as adhering to the moral standard. But, what is the standard? Your question, Robert, is my question. How do we know what the proper aesthetic form is? Do I, as Kent said, know what the standard is but just do not want it? Kent’s comments on the temple were somewhat helpful, but I am needing some “handles” to really grab hold of this concept. Davida’s examples is a perfect one well worth considering: is the metaphor of “rice” an adequate “contextualization” of Scripture’s term, artos? For that matter, is English “bread” an equivalent metaphor. These are the kinds of aesthetic correspondence questions that need to be asked, from Bible translation all the way to poetic form and musical style. The Bible places limits on aesthetic contextualization. To figure out a more authentic meaning of the original text could be one of the most essential starting points of contextualization. This is because a solid scriptural interpretation can set boundaries for aesthetic presentations of God’s truth. I appreciate that Juliana viewed that Holiness is the key for God’s standard of communicating the truth of Himself. Instead of viewing holiness “as a separation from the world”, I would like to turn the focus to holiness “as the pursuit to the Holy One.” Kenneth L. Waters Sr. in his essay “Holiness in New Testament Perspective” states: “we cannot remove ourselves from the realm of the corruptible; but in Christ we can expel or eliminate the demonic and defiling from our environment.” The best way we can distinct ourselves from the profane world is not just to escape from it, but to be more effectively, to approach the Holy Otherness through Christ, God’s only holy mediator, in the power of Holy Spirit. With this understanding, I will most likely agree with Scott’s argument on communicating Biblical truth must be corresponded to Scripture both in its propositional content and in its aesthetic form, except that I am not quite sure how literally the word “form” applies. Also coming from Asian culture, I would like to contribute another cross-culture experience. When I was at college in Illinois, I used to play the piano in the lobby of my apartment. My repertoire included hymns, classical music, and both Western and Chinese pop, and so on. One night after I finish playing a set of hymns, a guy from Hong Kong approached to me and asked: “are you playing something from the church?” I said yes, and asked him if he’s a Christian. Surprisingly, he was not, and only went to church once in his life. I then asked him how he recognized the music I played were “from church”. He answered: “I never heard of them before, but they are different.” Till today, I still puzzled about how this guy perceived the distinction of those Victorian hymn tunes from some other music I’ve played and categorized them as church music. Any thought? About the standard of aesthetics, I would like to add one more thought according to Huntzinger’s first point on the goodness of God’s creation: the creation is good for it necessarily what is beneficial to humanity. Even though only God knows it all about what is good to humanity, we can still make appropriate choices that are beneficial to people according to the teaching of Scripture and as well to our own culture. Sometimes, it is inevitable to contextualize our teaching in order to communicate biblical truth. However, we shall tell the difference between adopting a cultural form or content for its popularity and for its goodness for our people. Therefore, we must not only always be aware of our intention and evaluate our motivation, but also be constantly pursuing God’s Holiness and learning about our cultural context.